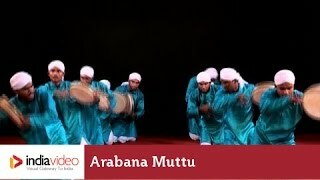 A folk entertainment item popular among the Muslims of the Malabar region in Kerala, Arabana muttu or Aravana muttu (muttu means beating) is a group dance item. The art form is also known as Rebana. Arabana is a hand-held one-sided flat drum. It has a wooden frame painted with beautiful colours and strung with Knotted ropes. The playing surface is made of goat hide. The songs of the dance are often a tribute to martyrs and heroes. The dancers often toss the drums over their heads. Unique and rhythmic steps are also part of the dance. 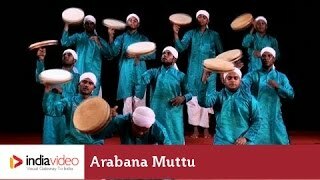 Aravana muttu is usually performed to welcome dignitaries or newly wed couples. The dancers will be clad in traditional Muslim attire. 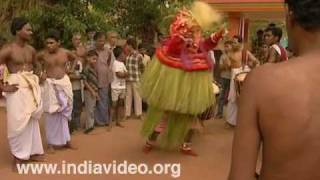 India Video launched in 2007 in association with UNESCO, New Delhi, has in store thousands of text and videos on Indian subjects like Indian culture, history, travel, art, heritage, yoga, beauty, cuisine, food, health, major Government of India websites, government institutions and events.. Already featuring 8500 plus videos, new video content is added every day to this free-to-use website. The content on India is created for travellers and tourists besides students and academics. 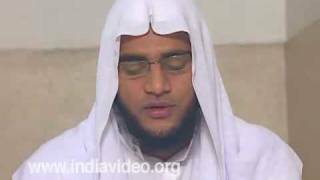 Keep watching India Video. Explore India! All rights reserved © Invis Multimedia Pvt. Ltd. 2012. No part of this website may be reproduced commercially without written permission.